The annual leave for all government employees in Dubai has been increased, according to a new human resources law issued on Sunday. Employees of grades eight to 11 will get 25 paid leaves as opposed to the 22 they got previously, while those of grade seven and below will receive 18 instead of 15. This was among the many new benefits stipulated by the law announced by His Highness Sheikh Mohammed bin Rashid Al Maktoum, Vice-President and Prime Minister of the UAE and Ruler of Dubai, to provide a "supportive work environment" for employees in the government sector. "The new law translates our vision for a better future for our employees and giving them happiness," Sheikh Mohammed tweeted. "We aim to accomplish the requirements of success by giving our employees a stable environment in both employment and social sectors. Among other new articles in the law is yearly travel allowances for Emirati employees' family members aged under 21 years, instead of 18. Expat employees will receive travel allowances for three children aged under 21 years. Hailing the new law, Sheikh Hamdan bin Mohammed bin Rashid Al Maktoum, Crown Prince of Dubai and Chairman of the Dubai Executive Council, tweeted: "It is an important boost to Dubai's ongoing efforts to update the work environment and institutional infrastructure of the government and maintain international standards." 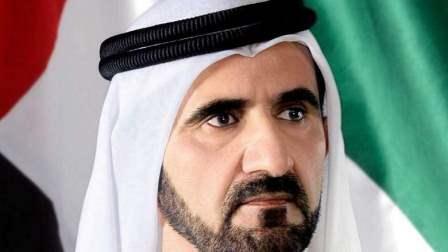 The Dubai Crown Prince said the law prioritises the needs and requirements of various government employees. "It will support their career growth, and give them stability. "Developing the skills and capabilities of UAE nationals, attracting the best minds and creating a work environment conducive to innovation and opportunities for growth based on merit - these are the pillars upon which we want to create an exemplary future for Dubai government workers," Sheikh Hamdan added. The new HR law also introduces 'remote working' and provides special privileges to 'people with determination'. They will be eligible for shorter working hours if needed, subject to medical approval.